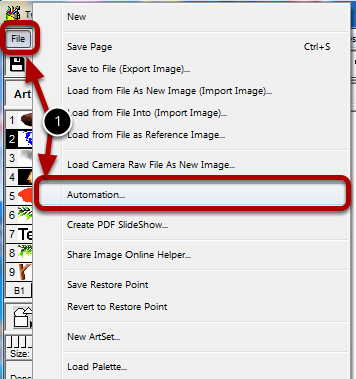 Select Automation from the File menu. 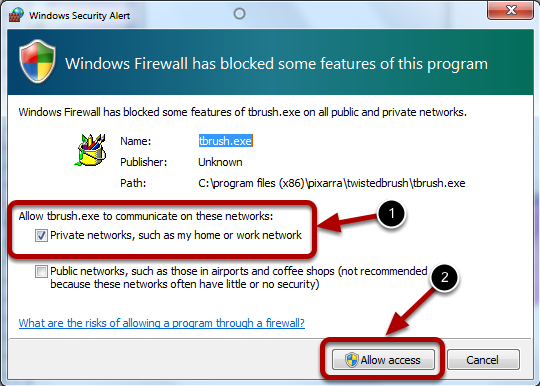 In order for the TwistedBrush Automation Server to work you must allow it to access network services on your computer. This allows the Automation Player to talk to the Automation Server. This will only need to be done once. When the TwistedBrush Automation panel is shown that means the TwistedBrush Automation server is running. This area displays the available scripts. This area is a message log of events. The Run button will execute the selected script. The New button will launch the script editor and allow creating a new script. The Edit button will launch the selected script and allow editing.